Hong Kong leader CY Leung is under fire from multiple directions for his beach cleanup exercise on South Lantau yesterday. A team of around 60 government cleaning contractors was hired early Sunday morning to collect and sort the trash at Shui Hau ahead of the arrival of Leung and his 70-strong party of senior bureaucrats, according to local activist Ho Loy. 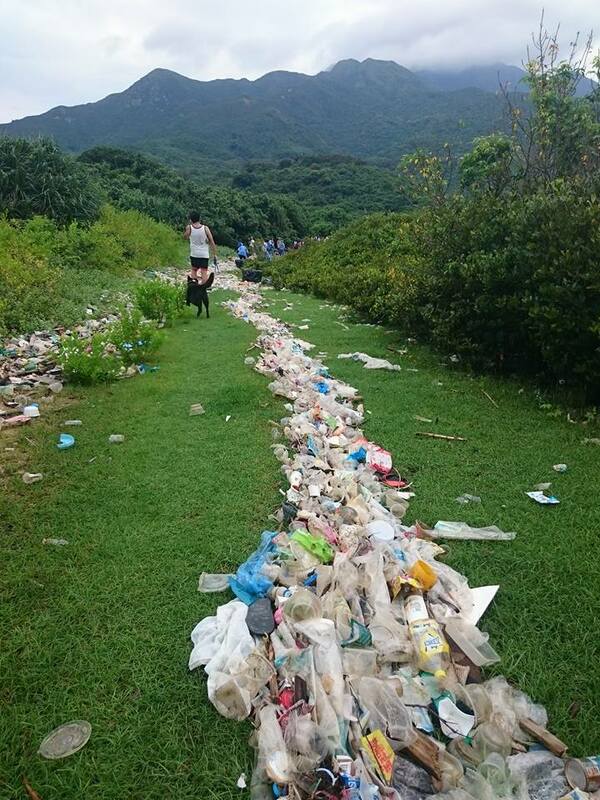 An Apple Daily journalist reported seeing a cleaner “every five steps” at the Shui Hau site, sorting rubbish into easily manageable piles for the government officials. The paper and locals say that despite the cleanup Leung’s crew still left a lot of trash behind. The reporter also spied contractors pushing a handcart full of bottled drinks and plastic rubbish bags toward the beach for the convenience of the government visitors. “The issue has emerged over the last three weeks,” he said, adding Leung “should have been telling residents what he’s done instead of what he’d do”. One local environmentalist complained on Facebook that the government had never previously cared about Shui Hau’s environmental issues and could see no reason why it was suddenly taking an interest. She pointed out that the area, with its mangrove swamps, wetlands and buffalo herd, hosted a fragile ecosysystem that would be unable to cope with the mass tourism that the government has envisaged. “If it opens to mass tourism, the impact will be incalculable,” she said.